Includes 432 batteries. 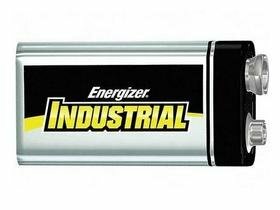 Energizer Industrial Alkaline 9 Volt Batteries offer an economical, high rate source of portable power for todays devices that require heavy current or continuous use. Each battery provides four to nine times more energy than similar sized carbon zinc batteries. If you have any questions about this product by Energizer Batteries, contact us by completing and submitting the form below. If you are looking for a specif part number, please include it with your message.